The significance of purchasing the most reliable, stylish and comfortable women footwear is unstoppable. 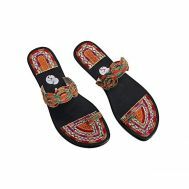 It doubles the fun of wearing our favorite traditional as well as western clothes as each culture represents a diversified range of women footwear in terms of design, colors and sizes. It is worth mentioning that women footwear is as important as women clothing and for this matter, finding discounted deals and approaching renowned women footwear brands is extra essential. 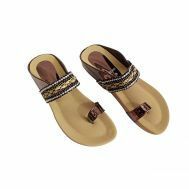 A wide range of branded women footwear serenades the catalogue of Savers Pakistan with its regal charm and wraps your feet with elegance in the form of sandals, slippers, high-heels, low-heels, shoes and discounted boots. In Pakistan, the online shopping stores are enabling customers to order women footwear that are beyond fit and come under the bracket of limited time shoes deals online. 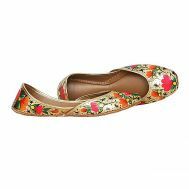 Whether it’s the wedding ceremony or a beach picnic with family, it is essential to explore the wide range of discounted women footwear online and cherish our memorable occasions in full swing. 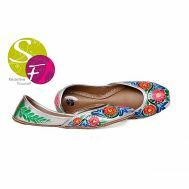 Savers Pakistan is a one stop solution toward all women footwear goals. We take pride in sharing the most diversified collection of stylish women shoes, reliable boots, beautiful hand-crafted slippers and high-fashioned pumps. It is worth mentioning that Savers Pakistan offer discount offers and majority vendors deliver your favorite women’s footwear in 2-3 working days with 7 days return and exchange policies. Savers Pakistan understands the importance of adding value for money, comfort and ultra-reliability in women footwear and chips in new fashion-forward footwear to make customers smile on every purchase. Make a pick from the range of discounted women footwear online with footwear goodness presented to you by the renowned brands such as Desi Ravaj, GBH, Reefland, Regal Shoes, Voila and SNS Shoes. 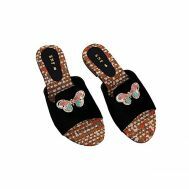 Explore the most affordable collection of easy to wear sandals and slippers that provide full comfort and styles to your beautiful feet. Savers Pakistan is offering major discount deals that can be availed from time to time depending on the occasions as customers get a flat off on women footwear. 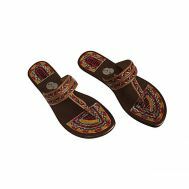 We offer the most trendsetting sandals, slippers and boots for women with great return policies.